The following terms and conditions shall govern the materials and services provided to you by Georgia Speakers Bureau, Inc. (the "Georgia Speakers Bureau" or "GSB") from this web site (the "Site”). 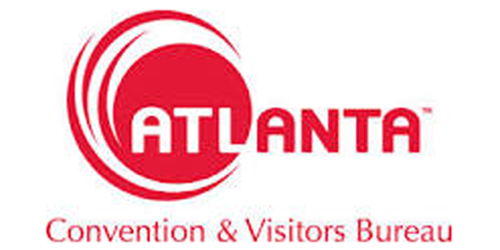 Georgia Speakers Bureau, Inc. focuses on marketing services to Georgia based companies and associations. By accessing and using this Site, you acknowledge that you have read and understand these Terms and Conditions, and that you accept them and agree to be legally bound by them. You should not use this Site if you have any objections to any of these Terms and Conditions. The Georgia Speakers Bureau may revise these Terms and Conditions over time as new features are added to the Site or as Internet law and standards evolve. We will post those changes prominently but we do recommend that you read these Terms and Conditions each time you visit the Site. Please feel free to browse the Site. You may download or make single copies of materials displayed on the Site for your own personal and noncommercial use, but all copies shall retain the copyright, trademark and other proprietary notices displayed with the materials on the Site. You may not distribute, transmit, copy, download or otherwise make available any material from the Site, including any text or images, for public or commercial use, without the prior written permission of GSB; you also may not distribute, transmit, display, perform, reproduce, publish, license, modify, rewrite, create derivative works from, transfer or sell any material contained on the Georgia Speakers Bureau Site without prior written permission. None of the material contained on the Site (including all software, HTML code and other code) may be reverse-engineered, disassembled, decompiled, transcribed, stored in a retrieval system, translated into any language or computer language, retransmitted in any form or by any means (electronic, mechanical, photo-reproduction, recordation or otherwise), resold or redistributed without the prior written permission of the GSB. Copyright © 2018 Georgia Speakers Bureau, Inc.
Georgia Speakers Bureau has adopted a policy of terminating services to users who willfully and/or repeatedly infringe. In a manner that disparages GSB or dilutes the Marks. You are also advised that GSB will enforce its intellectual property rights to the fullest extent of the law. You agree not to display or otherwise inappropriately use the Marks without prior written permission from the Georgia Speakers Bureau. Please make such requests by e-mail at Info@GeorgiaSpeakers.com. We will evaluate your request and respond as soon as possible. You may make fair use of the Marks in news, advertising and promotional materials, and in referring to our products and services (for example, in a consumer magazine article) without our permission, provided you follow standard trademark usage practices and provide proper attribution. Any other uses require prior written permission from GSB. Please make such requests by e-mail at Info@GeorgiaSpeakers.com. We will evaluate your request and respond as soon as possible. The policy of GSB is to respect and protect the privacy of our users. 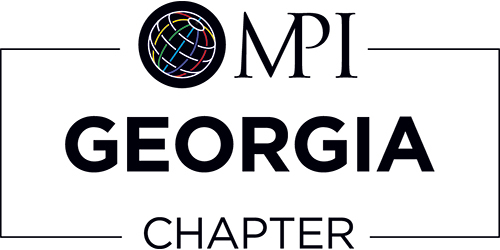 The Georgia Speakers Bureau includes as part of its mission, the constant effort to build users' trust and confidence in the Internet by promoting fair information practices. To fulfill this mission, GSB agrees to exercise reasonable precautions to maintain the confidentiality of information provided by you in connection with accessing and using this Site. The Georgia Speakers Bureau also agrees to post prominently and in plain language its specific privacy policies. Determination of the suitability of a speaker is your sole responsibility. The Georgia Speakers Bureau disclaims any responsibility in that regard. THE GEORGIA SPEAKERS BUREAU SHALL NOT BE LIABLE FOR ANY SPECIAL, DIRECT, INDIRECT, INCIDENTAL, PUNITIVE OR CONSEQUENTIAL DAMAGES, INCLUDING WITHOUT LIMITATION, LOST REVENUES OR LOST PROFITS, WHICH MAY RESULT FROM THE USE OF, ACCESS TO, OR INABILITY TO USE THE SITE. (BECAUSE SOME STATES DO NOT ALLOW THE LIMITATION OR EXCLUSION OF LIABILITY FOR CONSEQUENTIAL OR INCIDENTAL DAMAGES, THE ABOVE LIMITATION OR EXCLUSION MAY NOT APPLY TO YOU.) 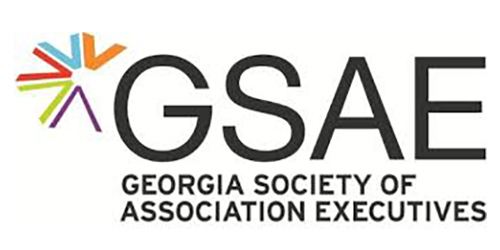 THE GEORGIA SPEAKERS BUREAU MAKES NO WARRANTY, EXPRESS OR IMPLIED, AS TO THE MERCHANTABILITY OR FITNESS FOR A PARTICULAR PURPOSE WITH RESPECT TO ANY OF THE MATERIALS/SERVICES AVAILABLE FROM THE SITE, ALL OF WHICH ARE BEING OFFERED "AS IS." THE GEORGIA SPEAKERS BUREAU ASSUMES NO RESPONSIBILITY AND SHALL NOT BE LIABLE FOR ANY DAMAGES TO, OR VIRUSES THAT MAY INFECT, YOUR COMPUTER EQUIPMENT OR OTHER PROPERTY ON ACCOUNT OF YOUR ACCESS TO, USE OF, OR BROWSING THE SITE OR YOUR DOWNLOADING ANY MATERIALS FROM THE SITE. Similarly, if you believe that any of your trademarks or service marks have been infringed, please notify the designated agent of GSB. Any action based on a breach of the terms herein shall be brought to the United States District Court for the state of Georgia. If a breach is found by the court, the court shall have the right to issue an injunction to prevent such a breach, and grant to GSB its damages and attorneys' fees and such other and further relief as the court may deem appropriate. This Site shall be governed by the laws of the United States, including federal copyright and trademark laws, and with the laws of the state of Georgia applicable to contracts entered into and to be wholly performed therein without regard to conflict of laws or choice of laws principles. By visiting the Site, you consent to the jurisdiction of the federal and state courts presiding in Georgia and you agree to accept service of process by mail. You hereby waive any and all jurisdictional and venue defenses that might otherwise be available. Notwithstanding any other provision contained in these Terms and Conditions, in the event that the performance of any obligation of GSB is prevented due to acts of God, exchange controls, export or import controls, or any other government restriction, wars, hostilities, blockades, civil disturbances, revolutions, strikes, lockouts, or any other cause beyond the reasonable control of the Georgia Speakers Bureau, then GSB shall not be responsible to you for any failure or delay in the performance of its obligations. GSB shall promptly notify you of such force majeure condition. The terms of this clause shall not exempt, but merely suspend, GSB from its duty to perform until as soon as practicable after a force majeure condition ceases to exist. You may not assign your rights or obligations under this Agreement without the prior express written consent of the Georgia Speakers Bureau. Any failure by GSB to insist upon or enforce strict performance of any provision of these Terms and Conditions shall not be construed as a waiver of any provision or right. These Terms and Conditions constitute the entire understanding between the Georgia Speakers Bureau and you with respect to the Site. © 2018 Georgia Speakers Bureau. All Rights Reserved.